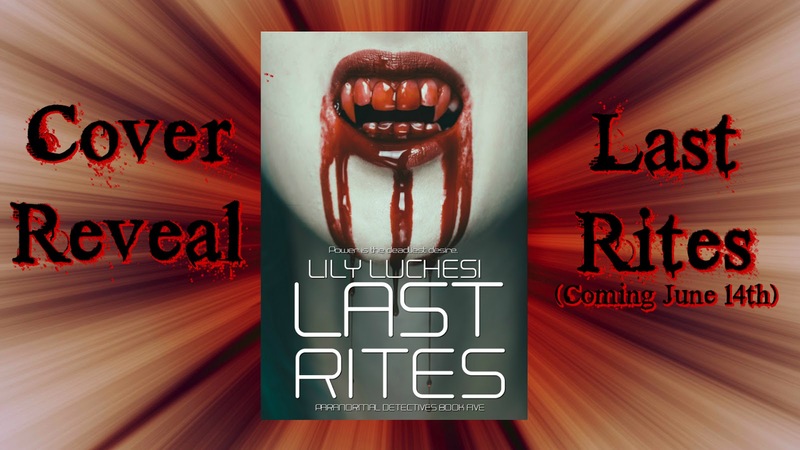 Coming June 14th, the fifth installment of Lily Luchesi’s award-winning Paranormal Detectives Series, Last Rites. Cover art by Rue Volley. Power is the deadliest desire. With Leander put to rest and the Paranormal Investigative Division taken care of by the Coven Mistress, Danny and Angelica are finally ready to take some time for themselves while Angelica gets used to her new role as the Empress and they make their relationship official. When people close to Angelica are murdered by what seems to be a rogue vampire, their sabbatical is cut short in order for her to find the perp and execute him or her. But this is no ordinary vampire. When the truth is revealed and secrets come to light, it will prove to be Danny’s biggest test of faith yet, and Angelica’s reckoning of her past, present, and future. Most of all it will raise a single question: just what makes a monster? Check out the trailer, featuring the song “I Don’t Drink, I Don’t Smoke, But I Lie” by Peter Blast. Join the event on Facebook, featuring multiple authors, games, and giveaways. This entry was posted in Book Promotions, Special Features by Sarah "SacaKat" Fairbairn. Bookmark the permalink.